Royal Challengers Bangalore avoided an unwanted Indian Premier League record by finally getting up and running with an eight-wicket win over Kings XI Punjab despite Chris Gayle's unbeaten 99. Defeat for RCB would have seen them become the first side in IPL history to lose their first seven matches of the tournament, but they stopped the rot in Mohali on Saturday. The in-form Gayle struck five sixes and 10 fours in a brilliant knock, KL Rahul and Mandeep Singh the next highest scorers with 18 as Kings XI posted 173-4. Gayle would have been out without scoring in the first over if Kohli had reviewed when Umesh Yadav rapped him on the pads and the opener took advantage of that stroke of luck. Kohli made 67 from 53 balls before AB de Villiers (59 not out from 38) and Marcus Stoinis (26no off 15) saw Bangalore home with four balls to spare. Gayle should have been on his way when he was struck in front by Yadav but the finger did not go up and Kohli opted against a review. That proved to be costly as the self-proclaimed 'Universe Boss' cut loose, hitting two sixes off a Mohammed Siraj over which went for 24 runs. The West Indies opener brought up his half-century off only 28 balls and, after being dropped by Kohli on 83, he finished one shy of a hundred after hitting the final ball of the innings from Siraj for four. While it was not a day to remember for Kohli in the field, he made amends with a typically brilliant second half-century of the tournament. The India captain went through his repertoire of classy strokes and motored to 50 in 37 balls. He put on 85 with De Villiers for the second wicket before hooking Mohammed Shami straight to a perfectly placed Murugan Ashwin. RCB needed 46 to win off 27 deliveries when Kohli departed and De Villiers and Stoinis stepped up to see them home. Stoinis breathed a sigh of relief when Ashwin put down a skier, then De Villiers added insult to injury by hitting the next ball from Australian Andrew Tye over the ropes in an eventful 18th over that cost 18 runs. 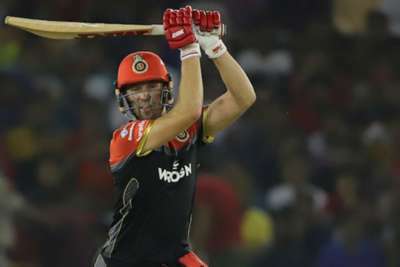 De Villiers got down on one knee to smash Shami for six leaving RCB needing only six off the last over and Stoinis dispatched Sarfaraz Khan's first ball for four and took two off the next to win it. 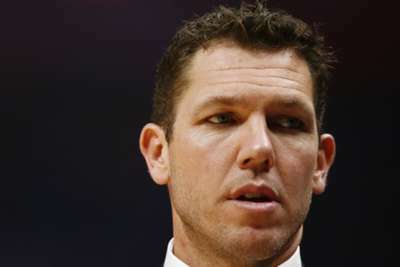 Luke Walton vehemently denies Kelli Tennant's accusations of sexual assault against him, which the Kings and the NBA are investigating.